One of the greatest sportsmen ever, Michael Jordan, said once: talent wins games, but teamwork and intelligence win championships. • Should we boycott the Olympics? Ice hockey was the biggest sport in the Soviet Union and one of the most popular sports in the United States of America. Since the Innsbruck Olympics in 1964, there was only one winner, The Soviet team. They had won the Olympic Gold Medal in 1964, 68, 72 and 76. In all this time, the American National hockey team only had gotten an Olympic Silver medal in 1972 at Sapporo. The Americans lost that final against the best national team in ice hockey history, the Soviet Union. That great team was led by the best goalie ever, Vladislav Tretiak, the Captain Boris Mijhailov, and the coach, Anatoli Tarasov considered the father of Russian hockey. The Soviets won medal in nine consecutive Olympics, seven of them, gold medals. The Russians dominated ice hockey in the decades leading up to the eighties. They had beaten the US team in 27 of the last 29 games. The Winter Olympic Games of 1980 would be celebrated at Lake Placid, New York. were able to play as a team. At the first practice, there was a fight, to settle old scores, between two teammates. After the fight, the coach said we start becoming a team right now! We must start to get to know each other. One player broke the ice: I am Rob McClanahan and I play for Minnesota. The American team won its first friendly match, but the coach didn’t feel satisfied with the players’ performance. They didn’t play as a team. After the match, without taking a rest, the coach got a whistle, and commanded his players to skate. Although they were exhausted, he kept them skating hard for hours. Suddenly, one player said: I am Mike Eruzione and I play for the United States of America. At that moment, they became a team. 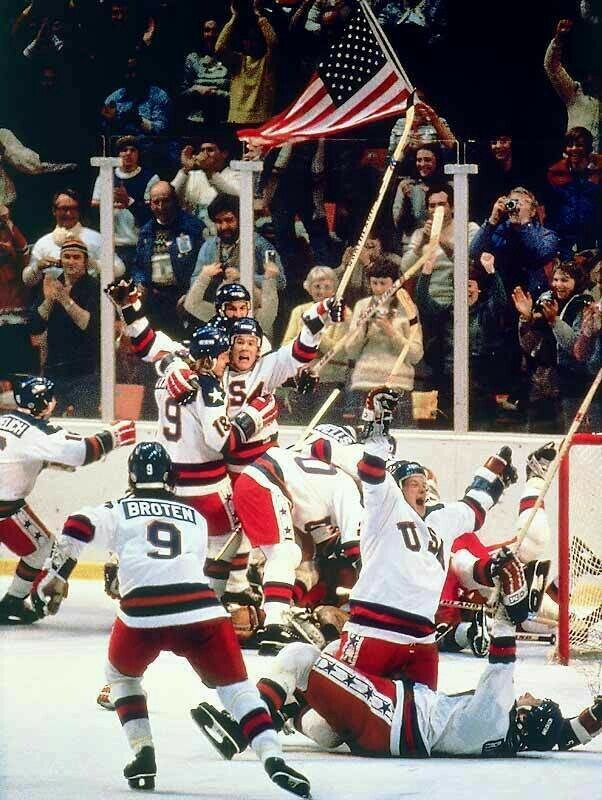 On Friday 22nd of February of 1980, the United States of America beat the great Soviet Team and won the Olympic Gold Medal. That game has gone down in the annals of ice hockey history. That epic match is known as Miracle on Ice. Henry Ford said coming together is a beginning. Keeping together is progress. Working together is success. The moral of this story is that everything is possible if we work as a team. And this is why we have been here, in Toastmasters, for more than 90 years. 90 Years of success stories, 90 years helping each other, supporting each other. 90 Years working as a team, developing our communication skills to become better communicators in a better world. Esta entrada fue publicada en ARTICLES IN ENGLISH y etiquetada Miracle on ice, public speaking, teamwork, Valencia Toastmasters. Guarda el enlace permanente.